Motility and functional gastrointestinal disorders have high prevalence in the community, cause significant morbidity, and represent a major health care burden. Despite major advances in our understanding of the cellular and molecular basis of gastrointestinal neuromuscular functions, many of these diseases still defy mechanistic explanations. The biopsychosocial model underlying the current classification of functional gastrointestinal disorders recognizes and integrates the pathogenetic role of genetic, environmental, and psychosocial factors but has not been associated with specific molecular mechanisms. Here, we propose that this integrative function is encoded in the chromatin, composed of the DNA and associated histone and non-histone proteins and non-coding RNA. 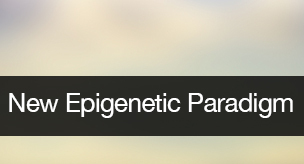 By establishing epigenetically heritable 'molecular memories' of past stimuli including environmental challenges, the chromatin determines an individual's responses to future insults and translates them into high-order outputs such as symptoms and illness behavior. Thus, surveying epigenetic signatures throughout the genome of affected cells in individual patients may make it possible to better understand and ultimately control the phenomena described by the biopsychosocial model. In this review, we provide a high-level but comprehensive description of the concepts and mechanisms underlying epigenetics and chromatin dynamics, describe the mechanisms whereby the environment can alter the epigenome and identify aspects of functional gastrointestinal and motility disorders where epigenetic mechanisms are most likely to play important roles.